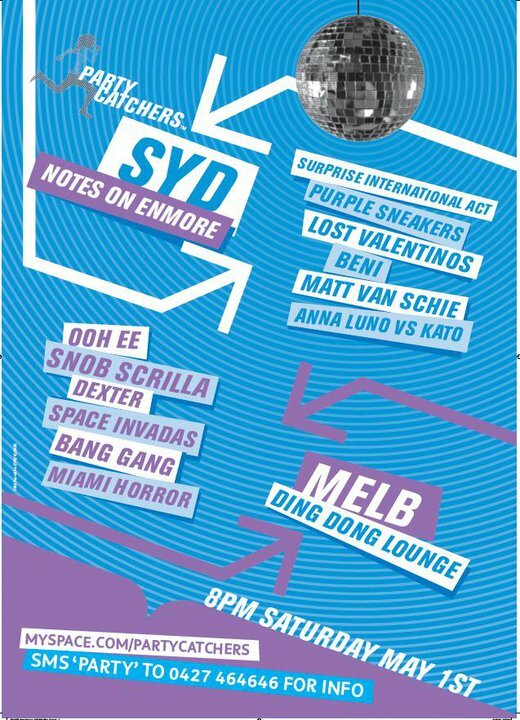 WIN double passes to Party Catchers Syd & Melb events! Thanks to Telstra and MySpace, PartyCatchers will be is holding simultaneous parties in Sydney and Melbourne, jam-packed with Aussie bands, DJ’s and loads of extra digs. We have some free passes for y’all! To get a hold of these limited tickets normally, you’ll need to log www.partycatchers.mobi and download the Party Catchers app and hit the streets of your city on Saturday to track down the ticketholders via GPS. We know that you’d rather be in bed resonating in the aftermath of Friday night instead of going on a Saturday morning jog, so we’ve got 3 Melbourne double passes and 3 Sydney double passes up for grabs! All you need to do is follow us on twitter (twitter.com/whothehellnet) and retweet this event on your status by 3pm Friday 30th April (tomorrow!) to go in the running!